The fastest, easiest and the simplest @font-face generator in the world. Convert your fonts to webfonts in a blink. The @font-face CSS at-rule allows authors to specify online fonts to display text on their web pages. By allowing authors to provide their own fonts, @font-face eliminates the need to depend on the limited number of fonts users have installed on their computers. Unfortunately different browsers understand differnt font types. This service allows you to generate css rule and font files that makes your font work in all the browsers that support font-face or webfonts. 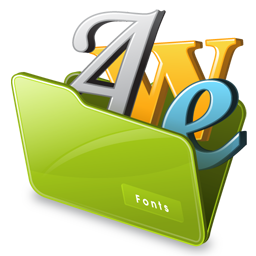 Upload any file to convert to webfonts (@font-face css) use. The converted font-face files (ttf,eot,woff,svg and the css) will be available to save locally on your computer immediately. Currently your file size limit is 0.4 MB. For verified users the limit is 2 MB. For unregistered guest users the limit is 0.4 MB. For unverified registered users the limit is 0.5MB. If you want more than these size limits consider upgrading your file size.